Which is better: a credit card with cash back rewards or a credit card with rewards you cash in (e.g. get gift card for reward points)? A co-worker asked me this question today. I found an MSN article that breaks it down, but it is from the perspective of “industry experts”. I was wondering what the GLBL “advisory” group thought about this question – they are more likely to actually USE a card with rewards. The credit industry is in turmoil right now, and many credit card companies are changing their reward programs left and right. As a result, your rewards points may have less buying power than they did a few years ago. Personally, I won’t use anything but a cash back rewards card. I don’t want to be locked in to buying a product through rewards points or cashing in my points on a select airline or hotel program. A cash back reward system is easier for me to know what I am receiving and when I will receive it. That doesn’t mean I don’t recommend rewards points – I think they can be a better deal for some people, especially if they travel often or stay in the same hotel chain with great frequency. But for people who don’t have any special needs, cash back credit cards are probably the best option. Cash is generally more useful than points, and most people will come out better. If you’re sure that you can use a certain reward and it pays out at a higher percentage than cash back it may be more suitable for you, but one of the things that I’ve noticed is that rewards systems get changed at short notice, and often, what you wanted is no longer available. I have both a cash back card and a reward points card, I almost exclusively use the cash back card. Honestly, I think it depends on the terms. Look at what the buying power of the rewards card is (how many points for gift cards and are the gift cards ones you can use?) Usually the cash back will work out better, I assume, but don’t be locked into thinking that if your cash back card pays very little in cash back. Really it all boils down to percentages. You can’t look at this in a generic way, it needs to be the specifics of the two rewards programs stacked up together. Personally, as an aside, I use a debit card that has both cash back and gift card rewards (it is all points – but you can redeem for cash or for gift cards) and depending on how long I want to save my points, the balance shifts from cash being the best option to a gift card being the best option (to a place I regularly make purchases). I think the answer depends on your usage. 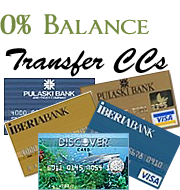 For example, if you travel a lot and like to travel, mileage card is probably better. If you buy a lot of gasoline, then a gas card is probably better. If you owe balance from month-to-month, then a low APR card is probably better. Speaking from personal experience, I prefer cash back reward credit cards because I know for sure that I will use the reward and cash reward is more accessible than any other types of reward. For example, I had put my last plan ticket on a Citi Premier Pass Card for triple mileage reward but didn’t accumulate enough points to use the reward for anything useful and it has been two years. My preferred cash back reward card is the Discover More Card because I can take advantage of their online shopping program to get up to 20% cash back reward. Also they generally have good double cash back offers that I can choose from. In the end, I want to leave you with my golden rules about using credit cards: (1) never spend more than what you could afford to pay when the balance is due, and (2) always pay the balance in full. I am not a fan of credit card use. I think the credit card companies are worse than snake oil salesman and look for every opportunity they can to take advantage of you, thus I avoid them like the plague. I only use them for one thing now, and that’s to transfer my high interest balance (incurred from my days of being stupid with credit cards) to zero percent interest cards. Once I do that, I cut up the card. Now, with that being said, many people do like to use them. So if you are really want to, I would agree with my fellow M-Network friends and say cash back is far better. With cash, you aren’t constrained and can use it however you would like. I’ll second what Pinyo said too: If you are going to use them, use them responsibly. 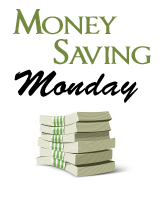 Pay them off each month and don’t use them to buy things you couldn’t buy with cash. Thanks for the question Gina!! Readers? How about you? What would you recommend? Chime in and give Gina your thoughts. Cash back, if you must use credit cards. I’d definitely go with cash back. I agree with Patrick; cc companies can tweak points a bit too much. Give me some money! I have a card similar to Jaimie – debit w/rewards. I “cash-in” the rewards for gift cards for Mother’s Day/Father’s Day gifts or thank you gifts for neighbors watching our dog type of things. To GLBL: similar to you we are on the DRamsey plan to eliminate our use of credit cards. I am very familar with the ‘give & take-away’ of the industry. I have been using credit cards so long that I remember when cc companies offered rewards in the 90s & took that “benefit” away and moved to variable interest rates. Thanks again! Kindest regards to all!! The great thing about credit cards is you never pay a cent of interest if you pay them off every month and they pay for your stuff in a convenient way, allowing you to bank some extra interest and accrue rewards. I love my Southwest card because I fly free twice per year or so. There’s an annual fee of $53, but two free flights (w/return tickets) would cost about $500 or $600, and I would definitely travel anyway. This was helpful information. I have a credit card that pays cash, but I think I will still apply for a card that gives reward points for travel because I really want to travel.